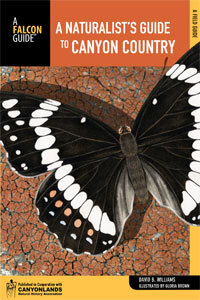 As a former national park ranger, outdoor instructor, and museum educator, I have over 25 years of speaking experience. I have given talks to elementary school children, Elderhostel participants, and teachers. I have given presentations while canoeing in canyon country, walking through downtown Boston, and in formal classroom settings. Below is a list of upcoming walks and talks, as well as descriptions of some of the walks and talks I have developed. I hope they encourage people to look more carefully at the natural world around them and to reconsider places they may have taken for granted. 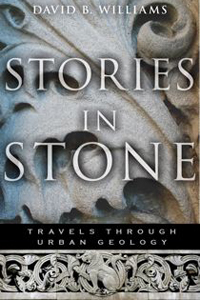 April 27, 2019 – Stories in Stone walk with the Field Trip Society – 1:00 PM – I will be leading my exploration of downtown building stone. The walk is full. 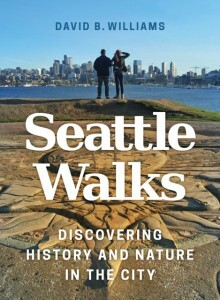 July 17, 2019 – Protean Coast walk with Historic Seattle – 6:00 PM – I will be leading my walk exploring Seattle’s historic shoreline. Still working out the details on this. More info to come. Contact David for availability and rates. 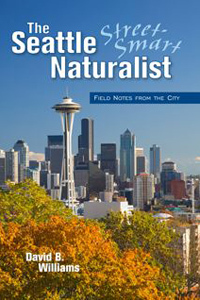 Downtown Rock Hound – Most people do not think of looking for geology from the sidewalks of Seattle, but for the intrepid geologist any good rock can tell a fascinating story. All one has to do is look at building stone in downtown Seattle to find a range of rocks equal to any assembled by plate tectonics. 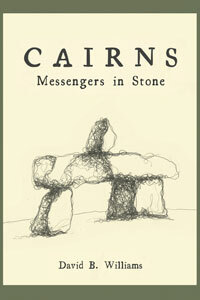 Furthermore, building stones provide the foundation for constructing stories about cultural as well as natural history. 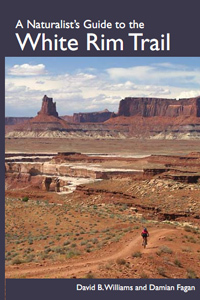 On this 1.5-mile long walk, we will explore stone ranging from 3.5-billion years old to 120,000 years old, fossils as large as a cinnamon roll, and rock used by the Romans to build the Colosseum. 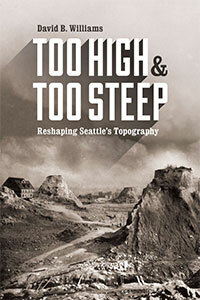 We will discuss history, geology, and architecture to give you a new way to appreciate the urban wilds of Seattle. The Protean Shoreline – More so than most cities, Seattle has shaped itself to suit its needs. Seattle has removed hills, filled tide flats, and created a completely new downtown shoreline. 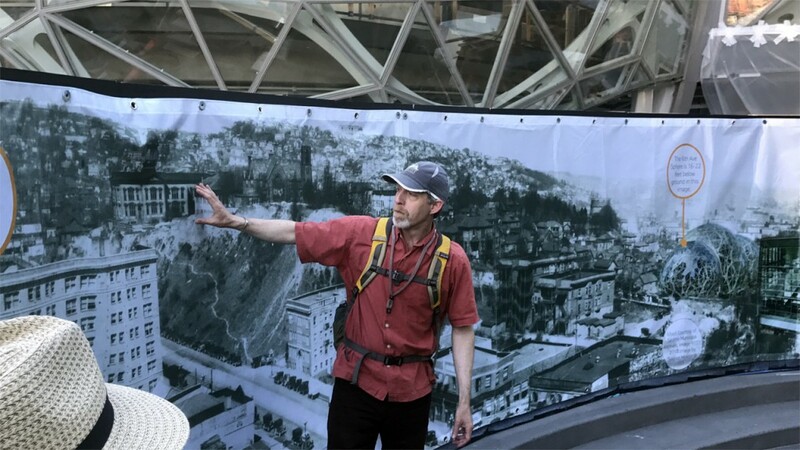 On this 1.5-mile-long walk we’ll explore the last vestiges of the former downtown bluffs, trace the island where Seattle was founded, and examine how the subterranean fill still affects the modern landscape. The Man Who Invented Dinosaurs: Life-sized dinosaurs made their world debut in 1854 at the Crystal Palace in London. Incredibly popular, they launched our nearly 200-year-long obsession with all things dinosaur. Fourteen years later, dinosaurs made their debut in America with a standing skeleton at the Academy of Natural Sciences in Philadelphia. Both displays were made by artist Benjamin Waterhouse Hawkins. Hawkins also tried to build a dinosaur museum in New York but was thwarted by the notorious scoundrel Boss Tweed, whose henchmen destroyed two years of Hawkins’ work. In this talk, I will explore the life of Hawkins, showman, sculptor, and friend of Darwin and Huxley. Oh yeah, he was also a bigamist, with two wives living just miles apart.